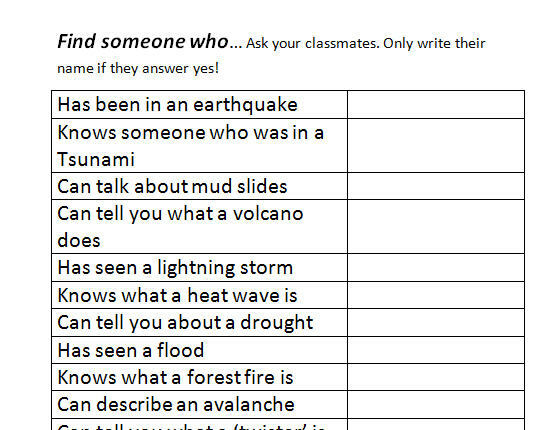 Mingling activity asking about different disasters, using the 'Find someone who' format. It is followed by a pair or small group activity of putting disasters into categories. 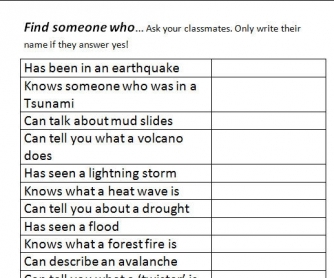 Useful when the topic is the environment / disaster related. I allow dictionary use for the second activity.